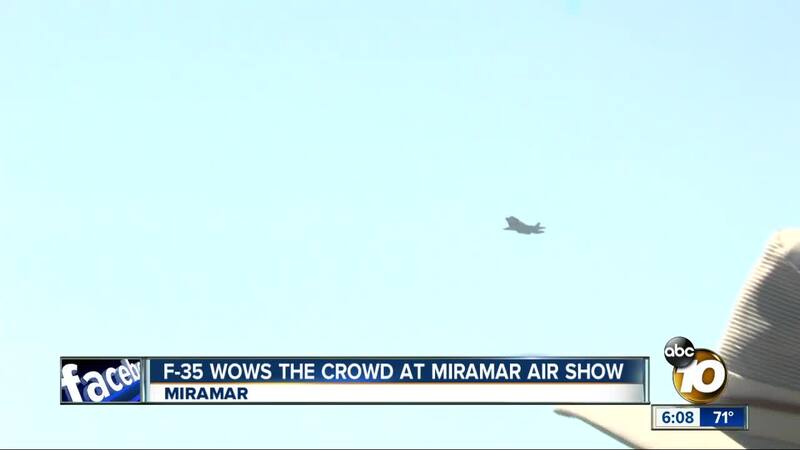 F-35 flies at MCAS Air Show, wowing the crowd. 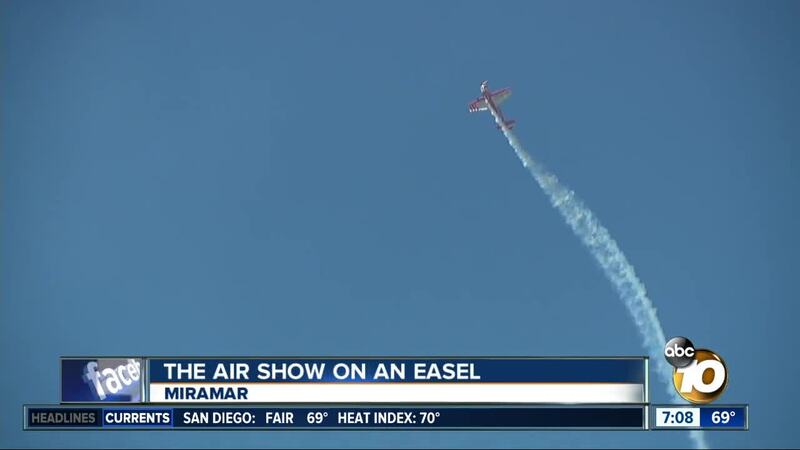 The Miramar Air Show did not disappoint the crowd of tens of thousands on opening day. The newest aircraft, the F-35B sending thunder through your heart and feet. "it was kinda scary to think how strong a jet could be... Imagine like a squad of those like the blue angels doing what they do," Sam, 13, from Santa Rosa said smiling. The powerful jet is faster and stealthier than any other jet in the military. "Hands down the most, honestly like it's like weird to say like scary, but when it goes by you wouldn't hear it until it went by, it's literally faster than sound which is like kinda creepy," Sam said. The electronics allow the jet to carry weapons inside, and complete more complicated missions without being detected. "It's a more modern aircraft and it's not about the speed and agility, a lot of it is what's inside the guts of the airplane. So how that airplane can help the pilot process information and how that information goes into his decision making process. It's leaps and bounds ahead of where I was when I was as a young First Lieutenant when I checked in here in 1997," Colonel Charles Dockery, Commanding Officer MCAS, said. A future fans at the show are excited to see. "Fortunately we are here today but I want to thank our military, they're the ones who make America beautiful," Leo Vasquez said. He came out from Colorado to see the show for the first time with his daughter, who is a San Diegan. "You can just feel the thrust in your heart. It's so wonderful, you can feel the power of it, imagine, the enemy better run." The F-35 just one of the aircraft featured in a painting a fan commissioned to be done at the air show. Sonja Prothman grew up seeing and loving air shows, particularly the Blue Angels. She and her family live in Seattle, Washington and have come down to see the MCAS Air Show for three years. Last week she realized she could bring a piece of the show back with her, helping her relive the memories with a glance. Her childhood neighbor became a high end artist, specializing in time-lapse paintings. "This would be the perfect painting with the Blue Angels and all this going on," she said. In red the Oracle stunt plane performed dizzying spins, and the U-2 a heart pounding accent toward the sun. Prothman said a painting is deeper than a photo. "Your mind can look at that and imagine different things it's not just fact, it opens you up more when you're looking at a picture on the wall," she said. "It makes me feel special, I can see this picture of a great moment."